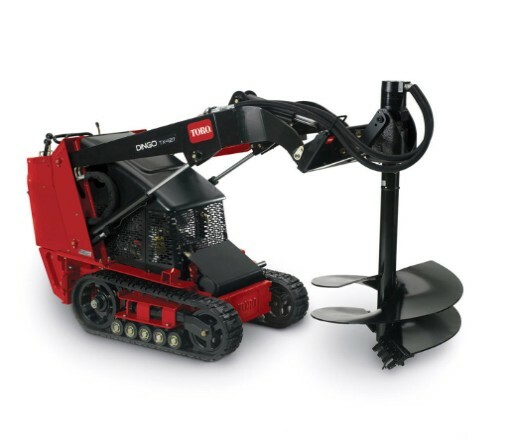 Looking to rent high torque auger attachments for the Toro Dingo in Rochester NY, Ithaca NY and Western New York? Masterfully engineered for high torque for excellent performance. Able to dig holes up to 6 feet deep in a wide range of soil types including clay, gravel and sand stone. Superior high torque drive results in 1515 pounds of torque at 3000 pounds per square inch and 57 RPMs, resulting in tremendous break-through force.